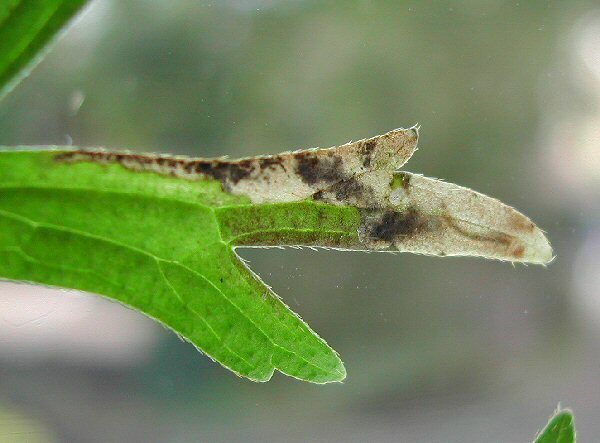 Notes: Makes a large blotch mine on the leaf, which discolours the leaf (as shown). Mine shown is on R.bulbosus. The initial gallery follows the leaf edge (as shown).